Fundamentally these were quite easy to calculate as they are provided by Open Cascade essentially for free and therefore it hasn't been very difficult to implement this. Since the essential functionality is already there, the next step is to integrate this with the Drawing Module. This should hopefully be the start a dimensioning tool! Hopefully I can push this onto Git for people to try during the weekend. In slightly unrelated news to FreeCAD: I have finally received some funding for an interesting expedition that I will be attempting once finished University in June. Under this premise I do hope to continue working on FreeCAD as I will still be in civilisation and should have enough time to make smaller contributions and experiments that may be useful. It would be interesting to see if it would be possible to develop this on the go. Anyway we will have to see! Have you pushed this somewhere yet? Where do you normally push your code? I was just looking at github at what I assume was your repo, but it looked like your posts were rather old. So I was wondering if you might have moved it elsewhere? I pushed this into the Measure branch if you would like to try, although it still needs work. 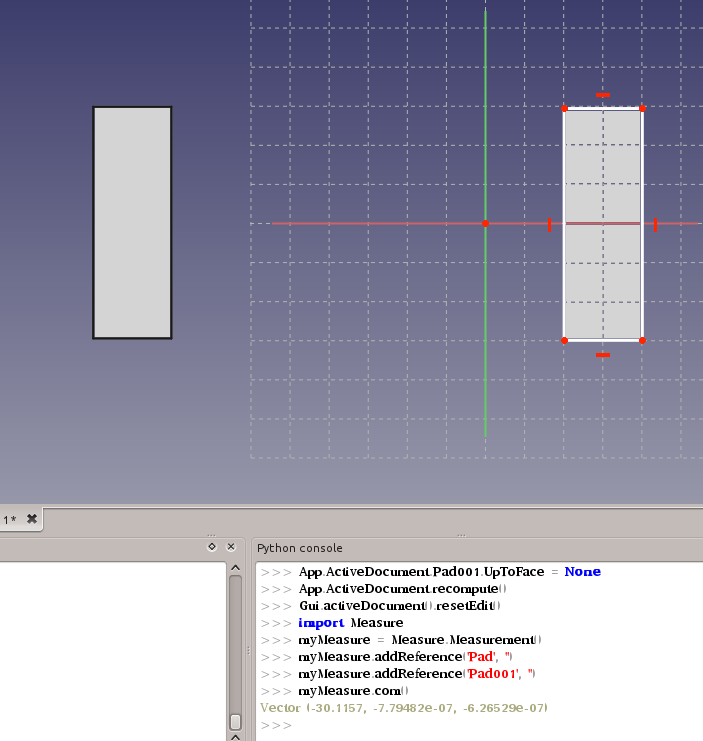 Similarly the Drawing module still needs alot of work.